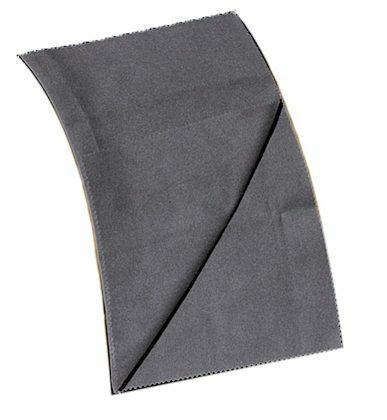 MusicNomad's suede polishing cloth is made using a super soft, lint free construction and is the best way to clean your instrument. Their polish cloth is perfect for guitar care, fretboard care, string care, and any instrument care. They use high quality Microfiber, which is a revolutionary material containing 90,000 microfibers per square inch. Also, they use a non-hemmed edge to avoid scratching your prized instrument. Every purchase automatically contributes money to help independent musicians thru their advocacy website where thousands of musicians each month discover resources, tips and articles to help them in their music career.